Omaha Beach today and the sea wall which was piled high with American military personnel for hours, on D Day June 6, 1944. The sea wall was the only cover, for the lucky ones, who made it off the beach. They were pinned down here for many hours, stacked on top of each other, until the German guns could be silenced, by other troops who managed to blast through the sand dunes, further along the beach, eventually taking the Germans gun positions from behind.. 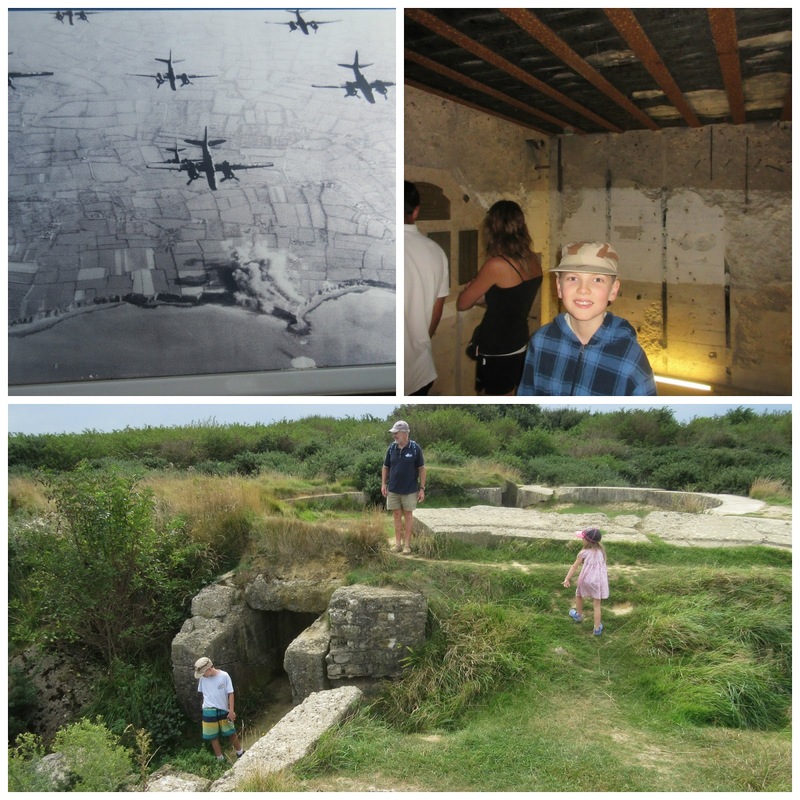 Bombing Pointe du Hoc before the D Day Landings and today, on and under ground at Pointe du Hoc. Note the burnt ceiling of the German bunker. One can only shudder at what happened to its occupants. It is impossible in this place, to even attempt to describe how the events of Operation Overlord (the official name for the DD landings) unfolded. But on that day, the Allies gained a toehold on occupied Europe. It was the first of many battles in 1944/45, on the long road to Berlin and the over throw of the Third Reich. Firstly, people (including me) tend to think their own nation's armed forces are the best, but after my visit to Normandy, I will never again underestimate an American, British, or Canadian soldier. They were asked to do way too much, under unbelievable hardship and it is a miracle, any of them survived. They were so brave and we really owe these fine young men, who were deprived of their futures, our freedom today. For those souls, we should all be eternally grateful. Second, if you ever get a remote opportunity to visit this area of Normandy. Grab it with both hands, as it will be one of the most remarkable experiences of your life. Thirdly, once you get there, you MUST see the Maisy Battery. 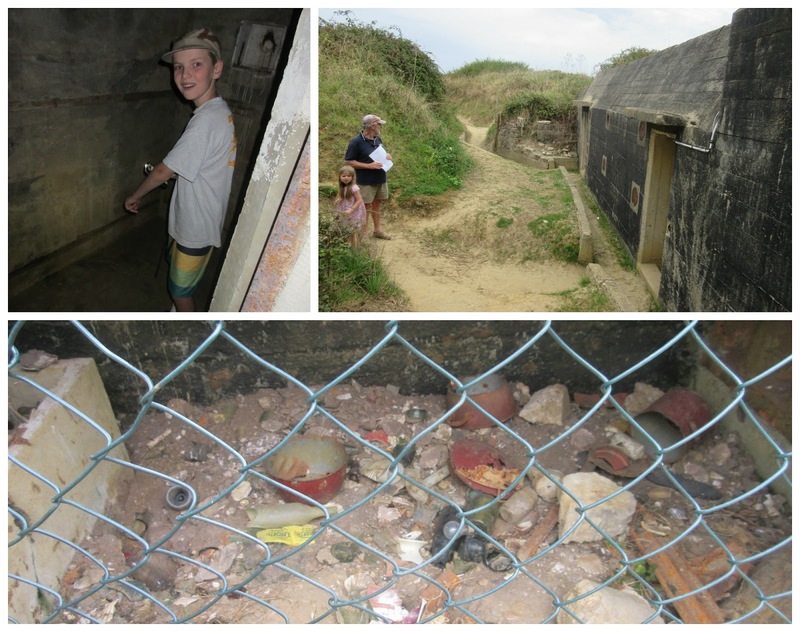 Maisy Battery is not often on the regular D Day Landing tours, and it's existence seems to have been ''covered up'' due to a major intelligence failure of the day. Do not be deterred, it is probably the most interesting aspect to the landing beaches and is just west of Omaha Beach. Maisy Battery has an amazing story to tell and it should be widely known. 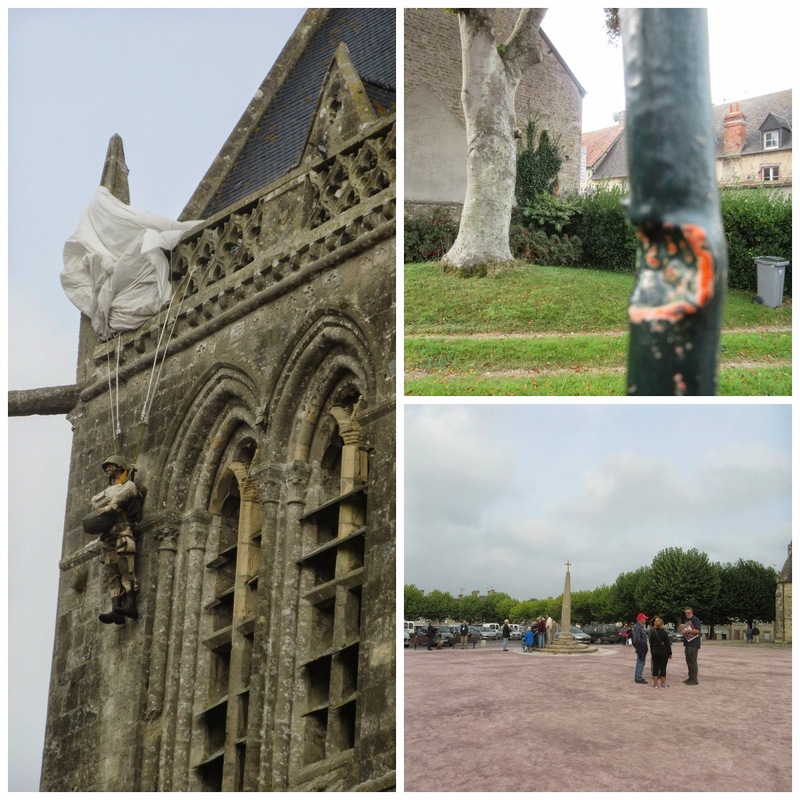 St Mere Eglise, where an American paratrooper became stuck on the church roof in the town square. He was shot at by the Germans, who thought they had killed him, only to realise later he was alive, as they searched his pockets for chocolate. There are also lots of bullet holes still left in the buildings and fences around the town square of St Mere Eglise. 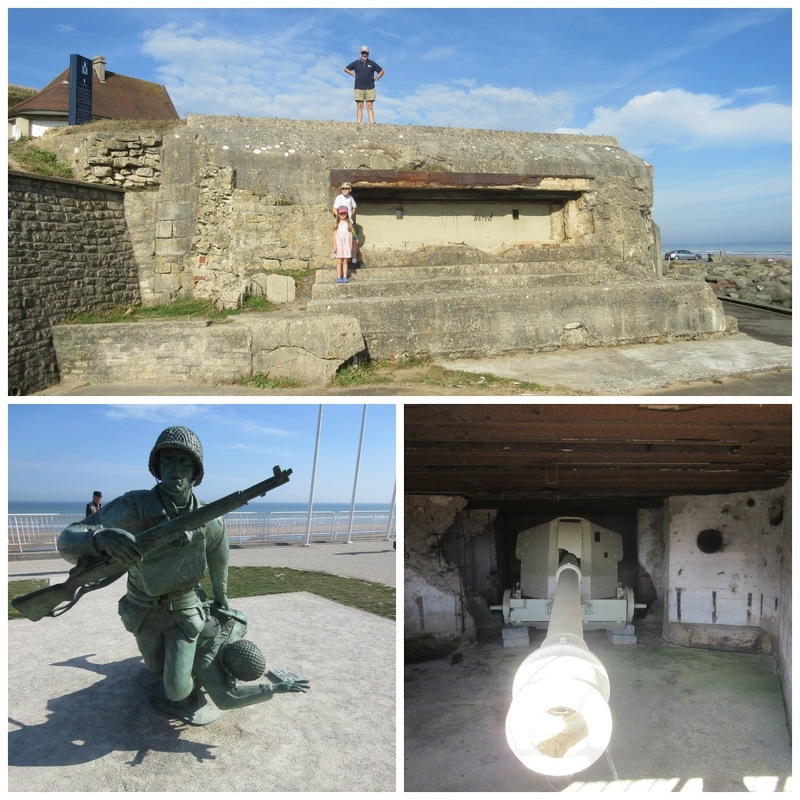 These scenes were recreated in the movie The Longest Day. 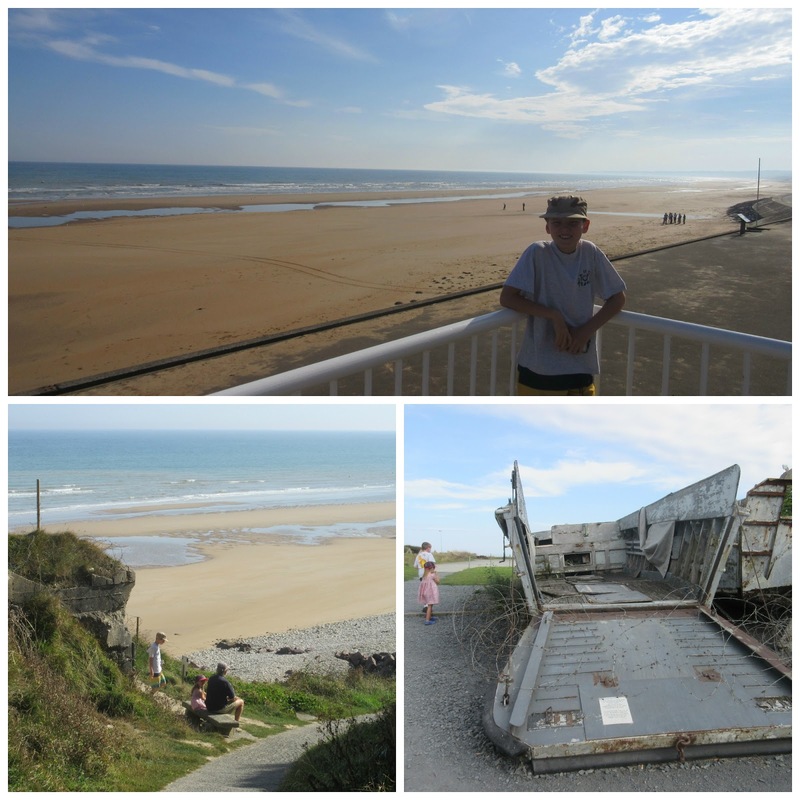 We've all seen the opening scenes of Saving Private Ryan, well here is Omaha Beach where it all happened. Although there were 5 beaches involved in Operation Overlord, this one was the best defended by the enemy, with well trained German soldiers. Also the US/British intelligence did not know about the guns positions built into the casino on the beach, or a secret German Battery, even unknown at the time by most of the local French people, known as Maisy Battery. Now with further research, the existence of Maisy Battery is considered a reason why Omaha Beach was such a blood bath for those poor men, trying to make their way up the beach. Omaha Beach; Sitting next to a German gun position overlooking Omaha; and an original landing craft, in one of the many private museums dotted along the Normandy coast. The landing craft were made of ply wood and gave very little cover against the German ammunition. Like I said, Maisy Battery is not to be missed as part of a visit to the DD landing beaches. It is an incredible part of the story and is perhaps the most complete example of a working German battery remaining on the Atlantic Coast. It was believed by US/British Intelligence that the German artillery battery covering the western end of Omaha Beach was Pointe du Hoc. (see the B&W shot in photo 1 of this post) This is why the US Air Force dropped hundreds of bombs on Pointe du Hoc, in preparation for D Day and why the US Rangers attacked up the near vertical cliffs, using ropes and ladders. losing a large part of their number, in the process. When they reaches the top of the point, they found no heavy guns there, just machine gun emplacements, with telephone poles dressed up to look like guns and scantly maned bunkers. It was believed that the guns had been moved inland and hidden amongst the hedge rows, just days prior to the landing. Some say this story was concocted to cover up for the futile loss of American soldiers trying to take Pointe du Hoc. Gary Sterne, an avid British historian in the area today, refused to believe this story. 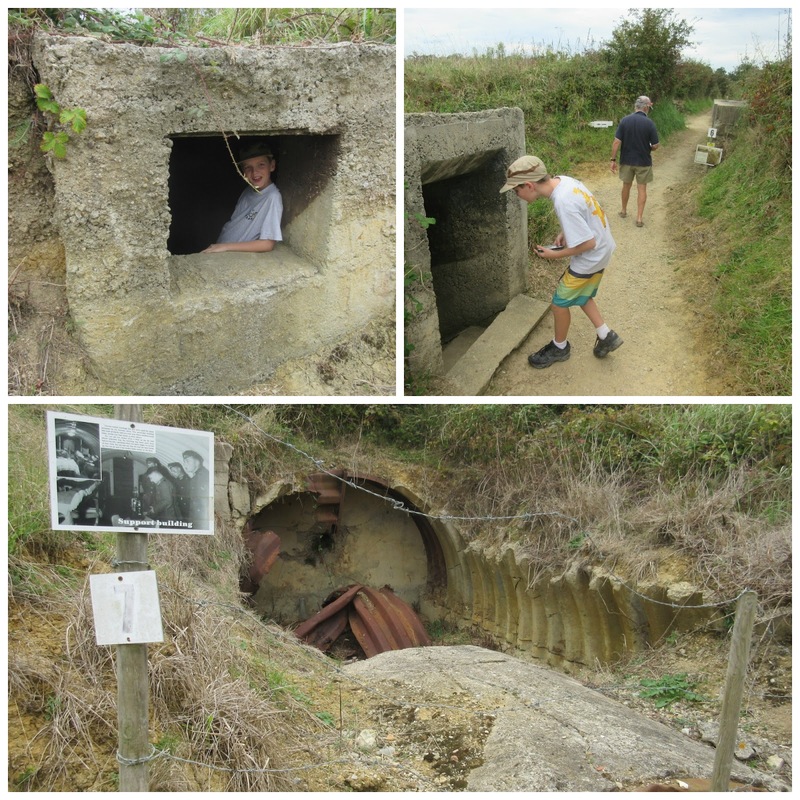 It is believed that Maisy Battery was covered over and filled in with earth immediately after the war, to hide the fact that intelligence had missed it and because it was the real cause of the blood bath on Omaha beach and the human catastrophe that unfolded, as depicted in Saving Private Ryan. The site at Maisy, which was largely below ground level was left abandoned after the war. It would have remained that way if Gary Sterne had not found an old hand drawn map, in the pocket of a veteran's uniform he had brought as military memorabilia. The map indicated the position of the battery and gave Gary a starting point from which to begin his search for the missing gun positions, that decimated the troops on Omaha Beach on that fateful day. Gary discovered what he first thought, were concrete bases. The concrete in fact turned out to be the rooves of command bunkers. Further digging convinced him that this was the site of a fully operational gun battery complex and the real location of the 'missing guns'. 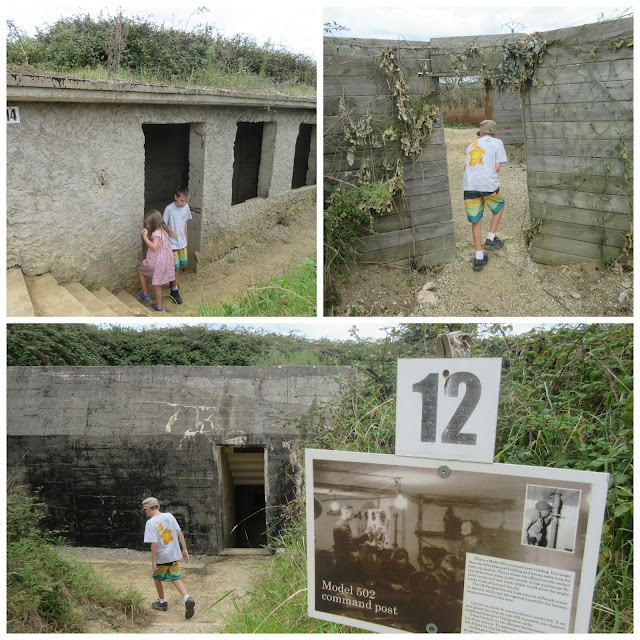 Gary believes that Pointe du Hoc was in fact a decoy, which successfully fooled the Allies. He and his son Dan are still uncovering the site, it's gun positions,command posts, hospital, living quarters and trench systems connecting them. They have even discovered a German soldier's body on the site. 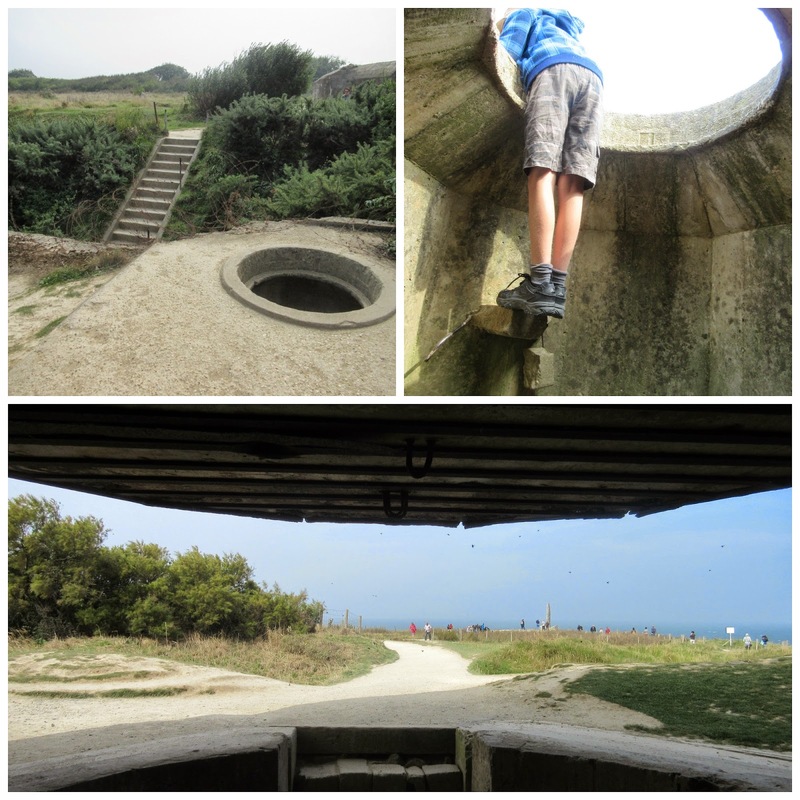 Maisy Battery is a fascinating place and I encourage you not to miss it on your visit to the D Day Landing Beach of Normandy France. Great story and I hope to get there soon. Love reading of your adventures in France. Wow, what amazing photos. 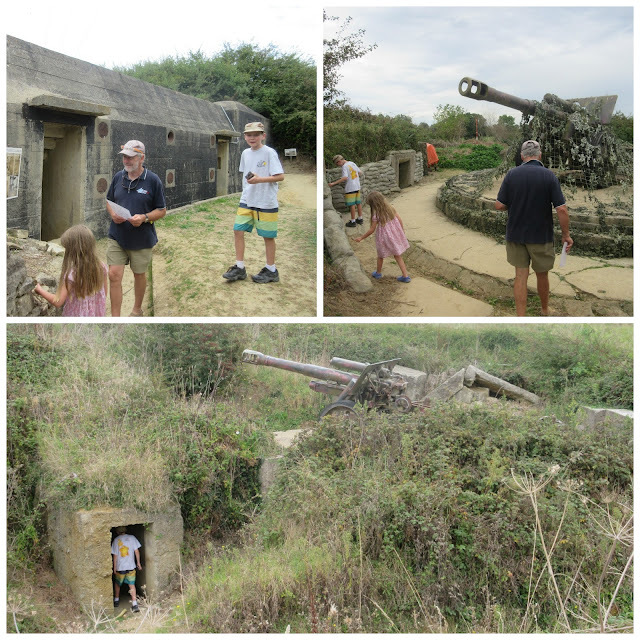 I bet the kids loved the trip, as well- some interesting history right at their fingertips is bound to give a greater appreciation of sacarifices made by previous generations. I love exploring places with historical meaning this it looks so interesting. Plus the kids are able to explore the region - that slice of history will stay with them as the story has now come alive as they discovered they area. Wow, what an incredible experience. Seeing the bullet holes in the buildings would have given me chills! Since I am a history lover, this is a place I have always wanted to visit. First time, I see so many details and photos of the area. Thanks for sharing!